Have kids, they said. Take them to the grand opening of a Lego exhibition, they said. It will be fun, they said. Think you’re having a bad day? 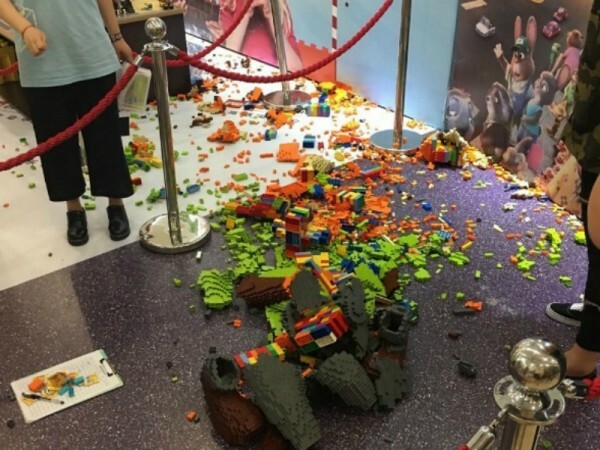 It can’t be any worse than these parents, who were left with the task of apologising to an artist after their son ruined his $15,000 Lego exhibit. 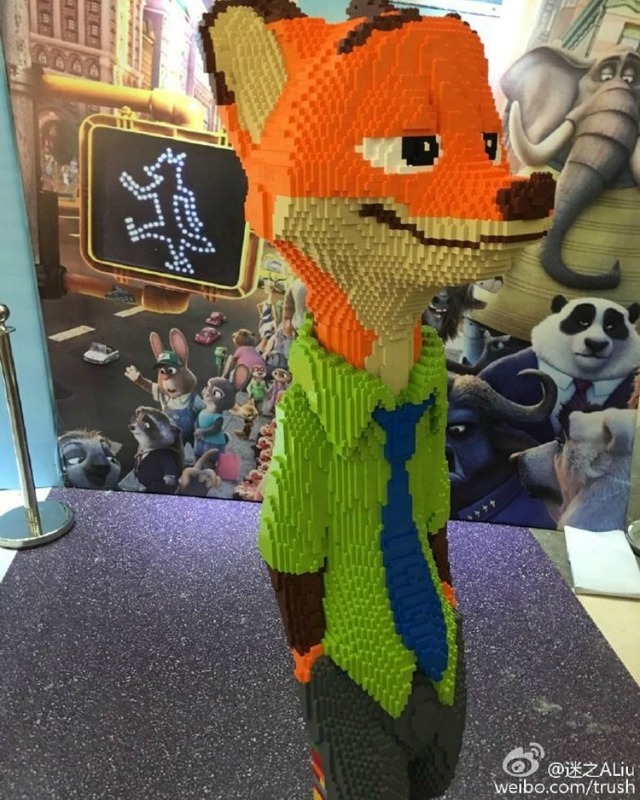 Chinese Lego artist Zhao crafted the adult-sized statue of Zootopia character Nick Wilde entirely out of Lego bricks for an exhibition in Zingo, China. The statue, which took three days and nights for Zhao to complete, had only been on display for one hour before it met its demise in the hands of the young boy. Zhao posted before and after photos of his masterpiece on social media site, Weibo and, although obviously heartbroken, the artist did not ask for compensation from the little boy’s parents. Instead he accepted their apology, understanding that the child, said to be four or five years old, did not mean to break the work of art. Let’s face it parents – we’ve all experienced the embarrassment (and groans of passersby) when our child accidentally breaks something in public. It happens to the best of us. And it only takes a second. So the next time your little one accidentally knocks over a display of tinned tomatoes at the grocery store, just be grateful the contents are in a can. And not worth $15,000. Lego lovers big and small will appreciate these other Lego works of art that have yet to be damaged in the hands of children including the driveable Lego car, a 30,000 piece replica Titanic and this incredibly sweet Lego gingerbread house.